La Llorona: Does She Seek Your Children. Does She Seek Your Children? "Don't go near the water," mothers caution their children, "You might drown." Good advice, but it has another meaning in Mexico and Texas. Moms living near the Rio Grandé are protecting their children from a different threat than accidentally falling in; they're talking about being sucked in. They're talking La Llorona. Many versions of the tragedy of La Llorona (Weeping Woman) exist, but the basic premise is the same. A beautiful young woman named Maria falls in love and marries a handsome, rich boy, and their union is blessed with two sons and a daughter. The young husband became disenchanted with Maria who had fallen into a severe depression after the birth of their last child. He soon found another woman and brought her back to meet his children. He tells Maria he wants his children but, as to her, he never wants to see her again. Maria suffered greatly from a broken heart, and fell even deeper into an emotional abyss she could not climb out of. Because her husband still loved and wanted the children but not her, Maria became jealous of them. Depression and envy drove her to do the unthinkable: she killed her own children. Maria took all three beautiful children to the river, and drowned them. The horror of what she had just done snapped her out of the emotional turmoil in which she had existed for a long time. Now she was riddled with guilt, and killed herself in the same river that held the bodies of her children. Next morning, a villager found Maria's dead body by the river bank, and rushed to tell the others. It is said that when Maria reached the gates of Heaven, el Señor asked her "Where are your children?" and she replied, "I don't know, my Lord." Angry, El Señor then banned her from entering Heaven and condemned her spirit to earth to search for the children in the rivers of the Americas. Only after producing the children would he permit her to enter Heaven. That night the Villagers heard disembodied weeping -- the ghostly wail of the dead Maria. She came to be known as La Llorona, a ghost seeking to fool El Señor with other children by claiming them as hers. To accomplish this, she pulls other people's children into the rivers of the Americas and drowns them. Aztecs had their own version: the Goddess Cihuacoatl, said to have appeared just before Cortés invaded Mexico, weeping for her lost children. This has been interpreted as an omen of the fall of the Aztec empire. La Llorona is also sometimes identified with La Malinche, the Native American woman who was interpreter to Cortés. Persistent stories exist that La Malinche betrayed Mexico to the Spanish conquistadors. One version says she was Cortés' mistress and bore him a son only to be abandoned so he could marry a Spanish lady. In this context, the Spanish invasion of Mexico and the demise of Native American culture after the conquest are compared with La Llorona's loss. She has also been compared with the Greek legend of Medea who murdered her children after she was abandoned by Jason. Within the Republic of Texas, variations of the same story are told: Maria is an American peasant and the boy is from the upper class. They marry secretly and have three children. The boy's father, unaware of the covert marriage, arranges a wedding between his son and a Spanish heiress, forcing the son to leave Maria. Crazed by his marriage to another woman (which she observed heavily veiled, hiding at the back of the church), Maria seeks revenge by drowning their innocent children. Texas is a big place. They have more than one version. The next has Maria, a beautiful young woman with two small children, falling madly in love with a very rich man. But he refuses to marry her because he doesn't like children. This is Maria's reason to drop the children off a bridge to watery deaths. This time, God is even angrier than in the Mexican version, and conjures on Maria the head of a horse, condemning her to forever wander the banks of the Rio Grandé looking for the children. She has been sighted many times by visitors and residents alike, always searching, never finding. 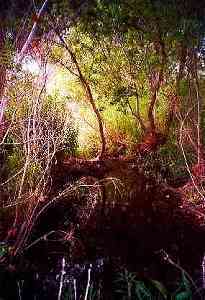 La Llorona's birthplace differs, depending on the storyteller. She may come from Juarez, or Tequila, or El Paso. In Guerrero, she was a prostitute who threw all her unwanted babies into the river of Tecpan over a period of many years and, when she finally died a natural death, El Señor punished her by forbidding entrance into Heaven until she found all the children she had killed. He dressed her in white and sent her on a quest to wander the rivers. Those unlucky enough to see or hear her are marked for death. La Llorona may be dressed all in white, or all in black. She always weeps; sometimes her tears fall from empty sockets. Sometimes she appears as a skeleton, and sometimes she deceives her victims by appearing as someone familiar to them. 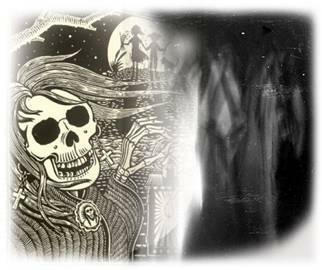 La Llorona has been seen or heard in locations other than Mexico and Texas, including New Mexico, Chile, El Salvador, Honduras, Guatemala and Panama. Movies (1933's La Llorona, Mexico; 2006's The Wailer and 2007's The Cry, both U.S.A.), TV shows (Supernatural 2006) and at least half a dozen books, are devoted to the tale of the Wailing Woman. If, in the dark of night, you happen to hear a wailing, weeping woman crying out "¡O hijos mios!" or "¡Ay mis hijos!" or "¿Donde estan mis hijos?" or "¿Has visto a mis hijos?" don't answer her and -- don't go near the water. Grab your kids fast and rush to the nearest desert.